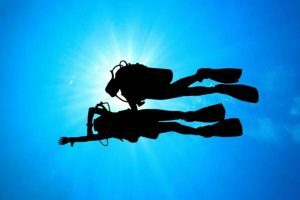 The course helps build confidence and expand your scuba skills through different Adventure Dives. You’ll plan your individualized learning path with your instructor by choosing from a list of Adventure Dives offered at Go West Diving. The core curriculum of this course is a Deep Dive and a Navigation Dive. From there, divers will be able to choose three elective adventure dives (Boat dive, Drift dive, Multi level dive, Underwater Naturalist, Fish ID or Night dive) in order to complete the five dives required for this certification. The itinerary will vary depending on the 3 elective adventure dives selected.